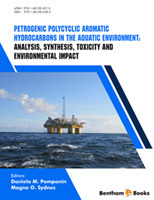 Research about polyaromatic hydrocarbons (PAHs) as environmental stressors is a long term topic with multiple aspects. Its importance implies that we will not see any final papers within the area for a long time. As the research unfolds, both extensive global reviews and more limited reviews addressing recent or expected advances are needed. As new investigative methods emerge it is useful to sum up recent findings and the possible directions being opened to us. This is the purpose of this book. The analysts now refer to the oil fingerprinting field as “petroleomics”, indicating how the field is advancing based on more powerful tools. The analytical advances are not only regarding the parent PAH compounds, but also the metabolized PAHs, known for their high hazardousness. High resolution mass spectrometry will probably soon lead to the detection of a wider range of metabolized and oxidised PAHs too, which will need follow up in different directions. The analysts ability to synthesize reference PAH metabolites is one of them, and new research challenges will be posed regarding their potential environmental effects. Other logical following steps are revisits of the PAH compounds bioavailability, biodegradability and carcinogenicity. This is the reason these themes are taken up in this book, accompanied by other advances within each of their respective topics. Finally, suggestions are given to how the advances will open for new monitoring methods and strategies leading to one of our important goals: an improved control of a challenged marine environment for which there is an increasingly growing concern. May this book be an important drop in the ocean that diminishes the PAH part of that concern and help fellow researchers and ourselves to be on top of this complex issue! Crude oil and consequently polycyclic aromatic hydrocarbons (PAHs) have been released to the marine environment long time before humans discovered oil through natural oil seeps. Nature has quite efficient systems for cleaning up these releases of contaminants. Since the first human oil excavation started at sea, many oil spills of small and large sizes, have been taking place (chapter 1, 2 and 3). These types of incidents represent an overdose to the natural processes. The natural defense system for oil degradation is micro organisms, mainly bacteria, which can use the components in oil as an energy source (chapter 7). However, these bacteria preferably use the readily available straight chain hydrocarbons as their first choice of nutrition. This results in a very slow natural removal of larger components such as PAHs, which requires more processing in order to utilize the energy found in the molecules. With great abundance of easily accessible energy sources available, e.g. alkanes, which is the case in an oil spill, PAHs will accumulate in the environment. The micro organisms will only start breaking down these compounds in order to get energy once other energy sources are used up. In the meantime PAHs, which have been pointed out as the most toxic organic compounds found in oil, will impact marine life. Research has shown that PAHs cause severe effects on fish at all life stages, with the most severe effects found on fish embryos. The book will convey an up to date overview of the current state of knowledge regarding the negative health effects of PAHs on marine life (chapter 1 and 4). Most of the health problems related to exposure to PAHs are caused by the oxidized metabolites that organisms generate in vivo in order to excrete the unwanted compounds (chapter 5). The metabolites are much more reactive and therefore also more toxic than their mother compounds (chapter 4 and 5). These secondary compounds are prone to react with DNA and proteins to form adducts. Central in research directed towards understanding the mode of action for PAH metabolites in vivo has been the preparation of synthetic material (chapter 6). This material has been utilized as standards for analysis and starting point for studying further metabolism in vivo. Moreover, due to their presence in the marine environment and their genotoxicity, there is a standing requirement for oil and gas operators to monitor their concentration and influence on marine life through environmental monitoring studies (e.g. the Water Column monitoring) (chapter 2). Although a lot is known about the influence of PAHs on the environment, and the marine environment in particular, there are still many unresolved questions that are awaiting answers. It is our intention that this book will give a solid basis facilitating the pursue of these unanswered questions.